Directions: From Varanasi Railway Station, go towards Raja Bazar Road. Then drive on Raja Bazar Road for 0.7 kilometers and at the roundabout take Lahurabir Road towards Godowliya Chauk for 2 kilometers. From Godowliya Chauk walk 0.4 kilometers towards Dashashwamedh Ghat. 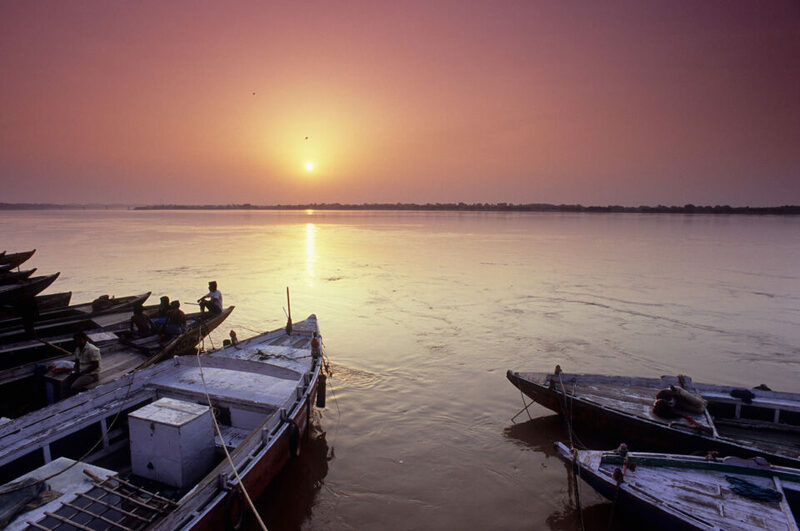 The city of Varanasi is well connected to New Delhi and other major cities in India by train/railroad. Instead, if travelling to Varanasi by air (daily flights from both New Delhi and Mumbai), take a taxi/cab for Godowliya Chauk. 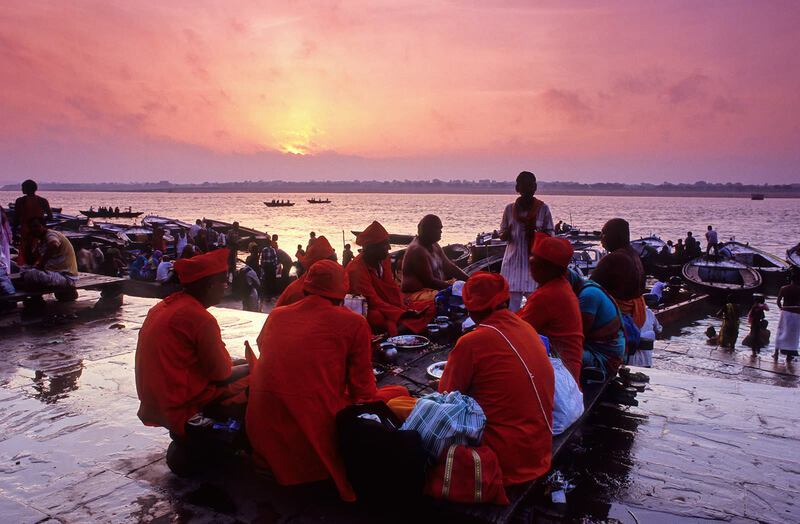 Many hotels in Varanasi have early morning and late evening shuttles for Gowdowliya. Also,in the city, you can also just hop onto a cycle rickshaw or an auto rickshaw and tell the driver to take you to Godowliya. It is usually advisable to fix the fare beforehand to save haggling/hassle later. 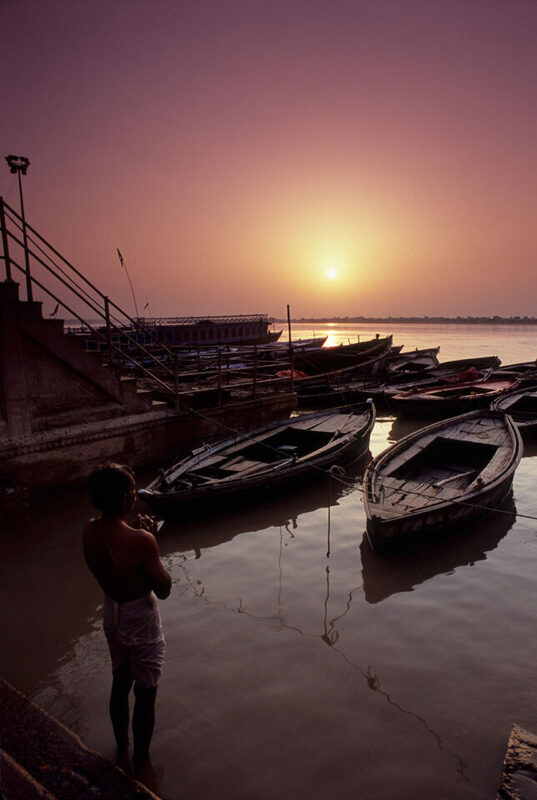 Varanasi, the cultural capital of India is one of the oldest continuously inhabited city in the world with recorded history of over 3000 years. Situated on the banks of River Ganga it is the holiest of seven sacred cities of Hinduism and Jainism and an important site of Buddhism. My family recently moved there and I had the amazing opportunity of experiencing the city in a really intimate way when I travelled there last year. In Varanasi, Dashaswamedh Ghat* is the epicenter of activity with endless photo opportunities. One can start the day by photographing sunrise over the Ganga River followed by a 2 hour boat ride- the best way to photograph various other Ghats on the river. 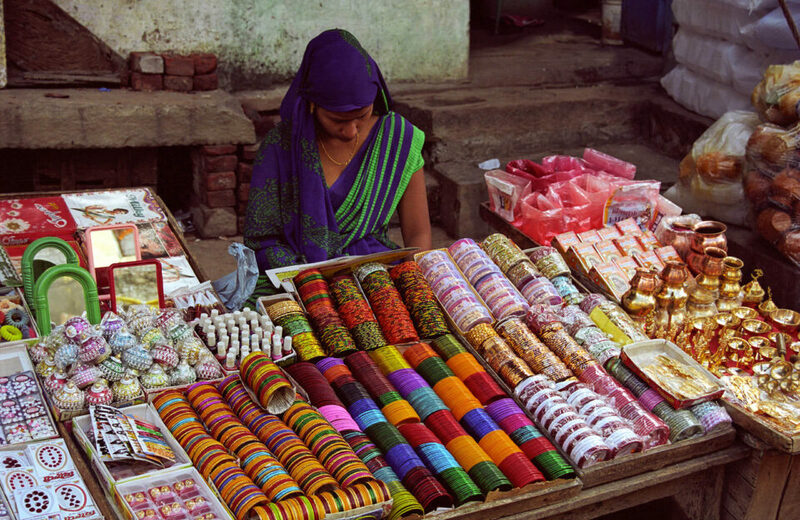 A colorful street market usually sets up around 7 am with bangle vendors, flower vendors, vegetable shops and much more. Then you can significant time making cultural portraits, photographing rituals, traditions etc. 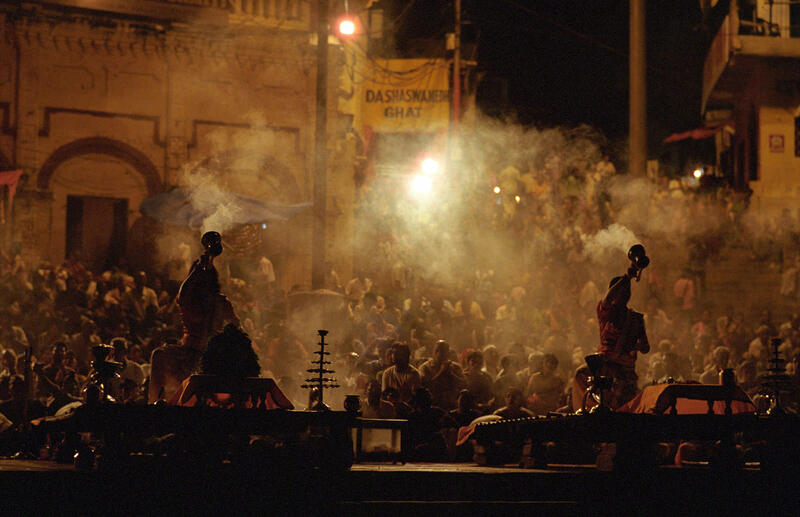 In the evening just after sunset, the famous Ganga Aarti** ceremony takes place. This is a spectacle not to be missed and it is advisable to arrive early to secure your spot as it can get really crowded later. 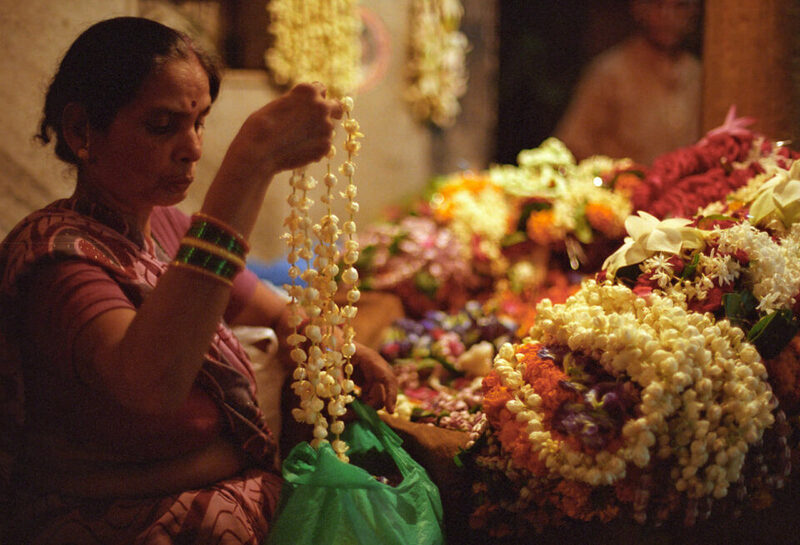 Alternatively, you may opt to watch the Aarti from the boats floating in front of the Ghat. *Ghat is a Hindi word referring to a series of steps leading down to a body of water, particularly a holy river- source Wikipedia. **Ganga Aarti- a ceremony to pay expresses reverence to the Ganga River accompanied by fire and scared chants. 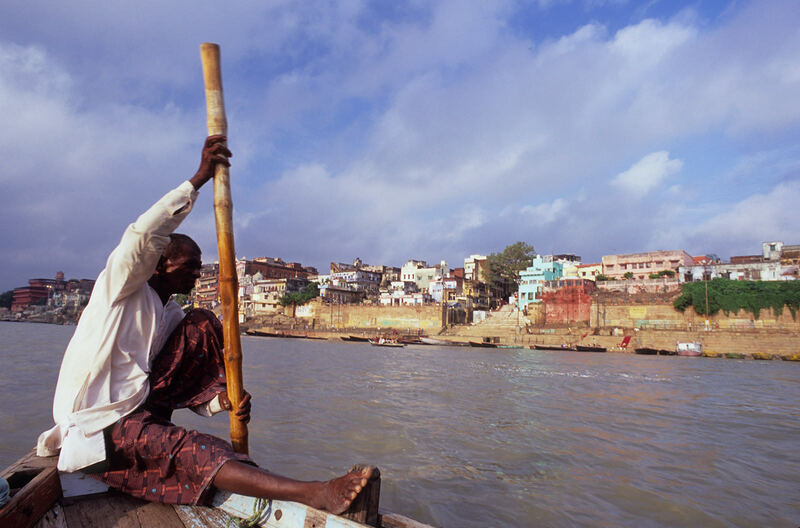 Safety around the Ghat and Godowliya is not of much concern as there are so many people almost all the time. Carry water, especially if you plan to stay for couple of hours. It can be hot from April to October. November may be the best time to visit with warm days and cool nights. Best light is from dawn to late morning as the Ghats face east. I will carry the following lenses: a 24-70mm or 24-120mm zoom, a 70-200mm zoom, two fast primes like 35mm f/1.4 and 85mm f/1.8mm. Instead one can skip the mid- range zoom and carry 24mm, 35 mm and 50/85mm prime lenses along with 70-200mm zoom. Polarizers and tripods are not an absolute necessity even though I always carried both. Vaibhav Tripathi obtained his PhD in Electrical Engineering from Stanford University in 2014. He started pursuing photography as a hobby around 2008. Experimenting for about 2 years to find his niche, Vaibhav stumbled upon a few photos made by the late Galen Rowell. Inspired by Galen’s phenomenal work, he became a student of outdoor lighting and natural atmospheric phenomenon and began the quest for finding quality light. This never ending pursuit has resulted in numerous trips and hikes both close to home and in the wilderness. Having witnessed Nature’s grandeur from up close, Vaibhav strives to keep his photos look as natural as possible, thus reflecting his direct experience. You can visit his portfolio and purchase prints at Lyrical Outdoors and you can also see Vaibhav's work on his Facebook page. Very informative writeup. I did get some useful info from you. Thanks for being open. Nice tips. I’m traveling to Varanasi for a photo trip. Which is the best place to stay which would be closer to the Ghats and to the ancient places of the city?